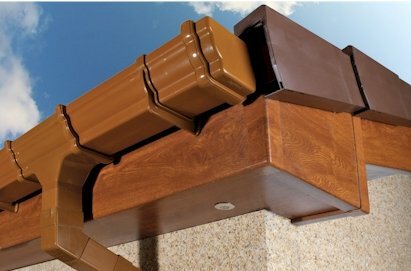 Description: Suitable for direct fixture onto roof joists the Light Oak Fascia Boards are manufactured from high quality uPVC and feature a 33mm lip making them the ideal solution for new builds, or the replacement of rotten or damaged fascias on more traditional properties. Suitable for direct f.. Description: Light Oak Finish Corner Joint 500mm .. Description: Light Oak Fascia 500mm Joint Dimensions: 500mm .. Description: Light Oak Fascia 300mm Corner Joint .. Description: Plain Caramel Fascia 300mm Corner Joint .. Description: Light Oak Finish Finial ..